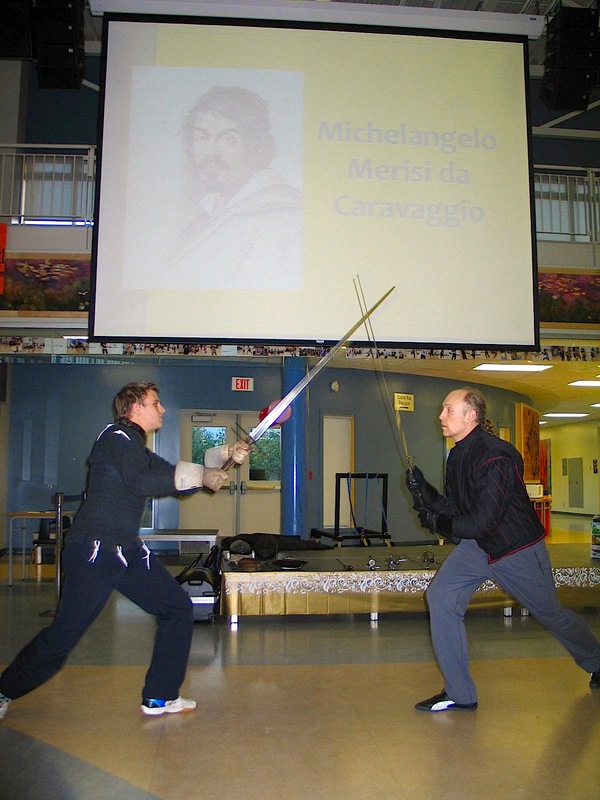 Caravaggio: Signed in Blood launched officially on Friday, November 7, 2014, and while I had an understandable amount of anxiety leading up to the event, it all came together nicely with the help of the fantastic students of the Leo Club at Byrne Creek Secondary. Academie Duello led things off with an exciting demonstration of sword-fighting techniques, followed by a workshop with twenty members of the audience. Kudos to the youngest participant in the sword-fighting: my 7-year-old son! After that, it was my turn. I gave a brief talk about how I came to be interested in Caravaggio, and a short reading from the first chapter. 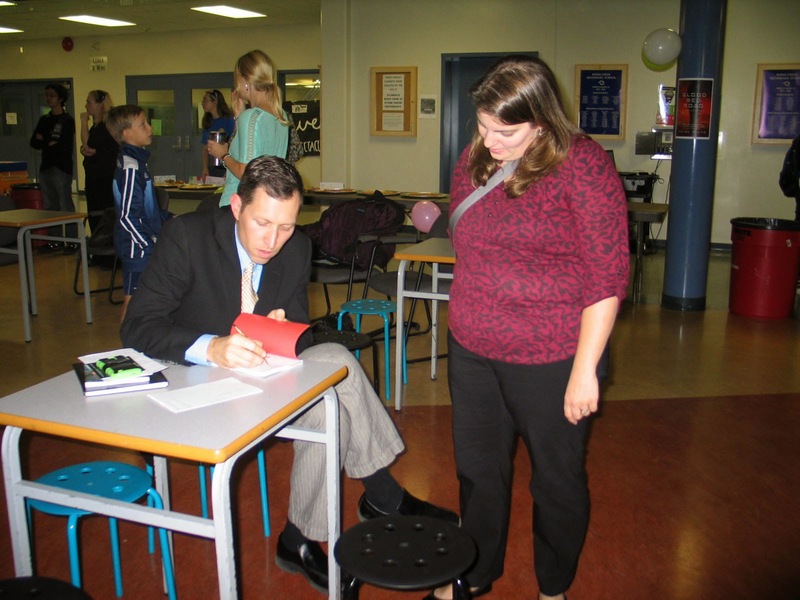 I signed books throughout the event. All the while, guests munched on delicious Italian salamettas and cheeses, garlic-stuffed olives, grapes, fennel-infused crackers, and biscotti with coffee, while images of Caravaggio's paintings flashed on the screen above. It was a wonderful way to connect with friends and colleagues, and to introduce the world to my first novel. This guy gets to the point.